You need to be an expert to use this software. I already bought it in the pass this same promotion and after 1 month I uninstall it. The software will ask you what you want to do every time, and 90% of the users have no clue what to answer. You need to be an expert to use this software. I already bought it in the pass this same promotion and after 1 month I uninstall it. The software will ask you what you want to do every time, and 90% of the users have no clue what to answer. 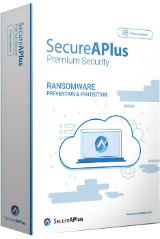 Hi, if you have SecureAPlus v5.3.0 already and it shows last License till May 2020 - no need to re-install it again after downloading today's Offer (that has to be done!) Just open your SAP Console, go to Info&Licenses, log in, insert today's Code from readme text and click 'Redeem', that's it. Now click on License on the left and it will show: 'Expires on February 19, 2021..' I forgot my log in password so had to reset it today, but it all worked just fine. 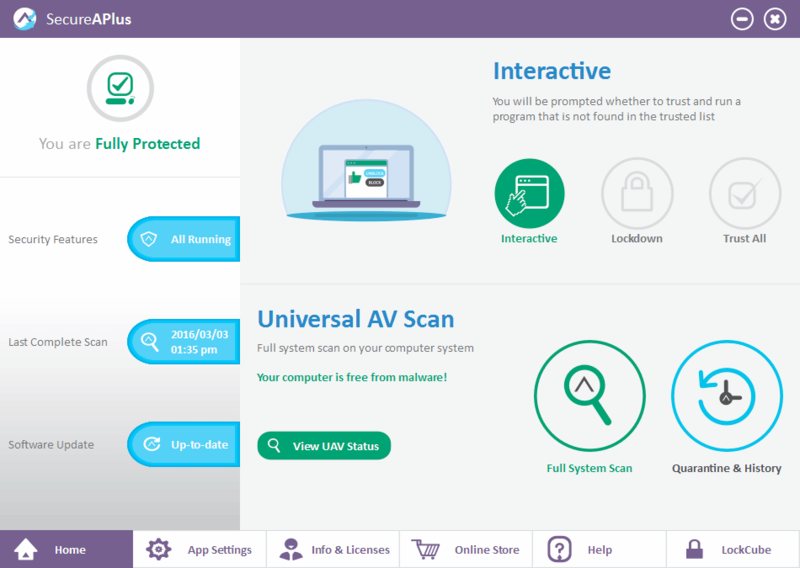 Thanks SecureAPlus for extending this License. Is it normal for the initial scan to take upwards of 7 hours to complete? That's where I am now and it is still churning away. i really have only about 300 gb of files on my 2 tb hard drive. 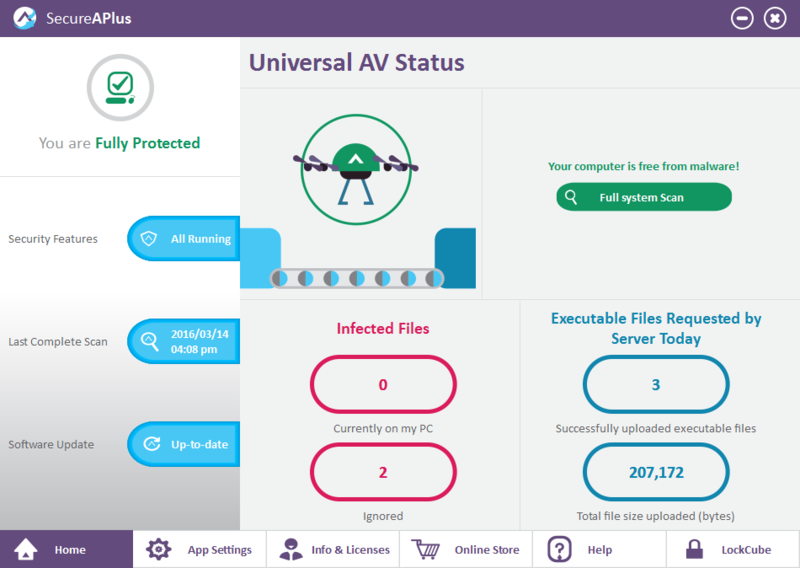 When I try to "View the UAV Status" I am unable to see any files being scanned - only the icon with its propellers spinning. Time to stop it and uninstall? Is it normal for the initial scan to take upwards of 7 hours to complete? That's where I am now and it is still churning away. i really have only about 300 gb of files on my 2 tb hard drive. When I try to "View the UAV Status" I am unable to see any files being scanned - only the icon with its propellers spinning. Time to stop it and uninstall?